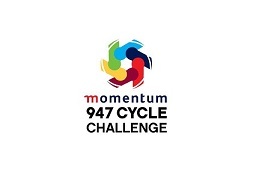 See road closure information below for the Momentum 947 Cycle Challenge taking place in Johannesburg on November 16. This year the start and finish line will be at Century Property’s Riversands Commercial Park, in Erling Road, just beyond Fourways. The race kicks off at 5.30am and temporary road closures will be manned on affected routes throughout the day. The roads will be cleared as soon as possible after the last cyclists finish. The highway will be cleared at about 2.30pm and by 5.45pm all roads will be cleared and re-opened. Roads to be affected during the day include The M2 East between 4.30am and 2.30pm, M1 South between 4.30am and 2.30pm, R55 between 5am and 12.45pm, Summit Road between 5am and 12pm, Woodmead between 5.30am and 1pm, Joe Slovo between 5.45am and 2.30pm, Jan Smuts between 6.10am and 3.30pm, Bram Fischer between 6.30am and 3.40pm, Witkoppen between 6.40am and 4.20pm, Malibongwe between 6.45am and 4.50pm, and Cedar between 7am and 5.45pm. “We are always acutely aware of the impact that the race has on our residents and strive to do everything possible to minimise the impact on those who need to move around on Cycle Challenge Sunday,” said Ravi Naidoo, 947 programming manager.